“THE ECONOMICS OF EPHEMERALITY” is one section of a multipart essay I’m writing that examines the relationship between performance and visual art from a variety of perspectives including economics, curatorial practice and cultural ecology. The first article, published on October 11, 2012 was “Panel As Performance: Deconstructing the Performa Event” and the second article, published October 21, 2012, was “Curatorial Practice and Cultural Production”. The concluding article, “Museums, Performance and the Crisis of Materiality” is forthcoming. 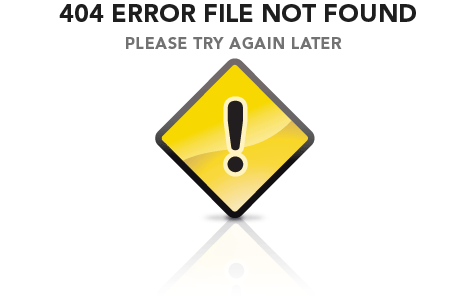 Other previously published and related articles include “Visual Art Performance vs. Contemporary Performance”, “On Social Practice and Performance” and “On Attention, Language and Demand”. After I published “Curatorial Practice and Cultural Production” a friend of mine emailed to say I still sounded hostile and, in the second half of the essay, unhinged. It is really not my intention to sound hostile, and certainly not unhinged; I’m merely trying to describe how things look from my perspective. I want to take this opportunity to remind readers that this is a process of discovery for me. It has been fascinating to realize how naïve, hopeful and idealistic us performance folk are compared to visual art people. When we discover the disturbing truth of the relationship between the visual art marketplace and museum culture – and the cutthroat, cynical, mercenary outlook that results from it – we are shocked. And then we learn that people in that world are not only totally aware of its rapaciousness but frequently find it hilarious – hence Damien Hirst, et al. So most of what I am exploring is not so much about reaching out to visual art people – they are already familiar with my critiques of their ecosystem and are absolutely indifferent to my critiques of their engagement with performance. Mostly I am talking to my audience in the performing arts world and trying to educate them that all of this idealistic talk one might hear about museums and culture and betterment of society is mostly smoke and mirrors. I think the visual art world’s indifference to my writing – and to the existing field of performing arts generally – can be demonstrated by a number of things, three of which I will discuss here. First is an event that just crossed by desk, The Annual Performance Symposium at MoMA: How Are We Performing Today?. I admit that I was unaware that MoMA had an annual symposium. Maybe this is the first year? But I was dumbfounded to discover that there is not a single, solitary representative of the field of contemporary performance. The description of MoMA’s performance program (which was initiated as recently as 2008 and only as an afterthought add-on to the media department) acknowledges that “Theatrical and staged elements have been a key feature of visual art throughout the 20th century. Movements like Futurism, Dada, and Bauhaus employed theater, dance, music, and poetry with live or broadcast performances to engage with audiences…” Yet they neglect to mention that the artists involved in these movements frequently worked with -or included – actual practitioners of music, theater, dance and poetry, not just visual artists having a lark. For that matter let’s go back just a few decades ago to Duchamp, Cage, Cunningham, Rauschenberg and Johns, currently being explored in the Philadelphia Museum of Art’s exhibit “Dancing Around The Bride“. It is not like visual art performance existed in a vacuum. But somehow MoMA couldn’t find a single curator, presenter, choreographer, theater maker, live art maker, writer or critic who specializes in contemporary performance. MoMA, are you telling me that there’s not a single person in the entire world of contemporary performance that is qualified to be on your panel? Really? It’s like Mitt Romney’s “binders full of women”! Second, and related, is this totally hilarious and revealing email exchange between my trusty research assistant Buck Wanner and MoMA. I have a question regarding eligibility for the Artist Membership. I am a practicing dance artist. My own choreography has recently been presented at various important New York City dance venues. I have documentation (publicity postcards, press reviews) from each of these shows. Am I eligible for the Artist Membership at the MoMA? Your website says “Only artists whose discipline is represented in the collection are eligible”. So I’m curious if I’m eligible. Separately, I’m wondering if the dancers who work with me would be eligible for Artist Membership? They have not presented their own choreography, but are certainly creative artists in my work (and they all work with other choreographers as well). Would they be eligible? Thanks in advance for any clarification you can provide! Thank you for your e-mail. In order to apply for the Artist membership, we need to see proof that you have performed in a gallery. This also applies to your dancers. Please let us know if you have any questions regarding memberships. Thank you! So I guess dance isn’t really art unless it happens in a gallery, or better yet in a museum, and choreographers aren’t artists. Stay classy, MoMA! Ah… the essay would make sense, except you forgot a really important thing: you did not factor that there are galleries, art advisors, collectors, auction houses, art fairs, in short a market that dwarves all our non-profit institutions put together: a market that is not abstract; but has its own institutions, players, memory, etc. Therefore you mis-assign many of the forces shaping the art world to curators and museums. You are right that museums have no idea what they are getting into, you are right that they seem to shun tapping into sources of expertise that have been developed over decades in performance presenting institutions; you might even be right that the art world’s interest in dance is shallow and predatory. But you are a victim of the same lack of curiosity towards the art world that you accuse the art world of when you say: “I’m deeply troubled by the lack of curiosity and respect that is being demonstrated” vis a vis art world to dance/performance world. [Emphasis added] Being half right does not make all the assertions in this essay valid. Finally, imagine if I were to write an essay about the relationship between curators, the visual arts and performance by discussing the visual arts program of Lincoln Center or even BAM. Imagine how distorted a view that might give me about the situation. I responded to Paul privately in an email and I want to reiterate my response here. Second, I want to address the “lack of curiosity” issue, as I believe Paul is creating a false equivalency. I will readily admit to a long and enduring disinterest in visual art. Frankly I think looking at pictures and sculptures is deadly dull stuff. I love history museums, science museums, transit museums, even the Metropolitan Museum of Art insofar as you can see cool stuff from the past – but mostly I have never cottoned to visual art as a discipline. I enjoy art criticism – like Lawrence Weschler’s Vermeer in Bosnia that someone recently shared with me – because the writing about art is almost always more interesting than the art itself. But I have tried to learn about it, I am not incurious. The whole point of this endeavor is to try and parse this situation and engender dialogue. At the same time it is important to note: I am not trying to make visual art or write critically about the work itself. The “lack of curiosity” issue is only relevant because the visual arts world seeks to enter or appropriate performing arts forms (or for that matter forms of social and civic practice) without actually learning anything about their long histories and aesthetic concerns, their frameworks, pedagogies or curatorial and production practices. If I were to suddenly start painting with no training whatsoever, all the while completely ignoring centuries of art history and practice and asserted that I was creating a new form and revolutionizing painting, I don’t think that would hold water. That’s the equivalency. As to Paul’s point about visual arts at Lincoln Center or BAM, once again, this is a false equivalency. Lincoln Center and BAM hire visual arts curators to run their programs, visual arts institutions do not hire performing arts curators to run theirs. Also, Lincoln Center and BAM don’t make any pretense about the role of the visual arts in their institutions; the art is there, usually, as either supplemental material for a performance or as something in the lobby for people to look at before a show and during intermission. Neither Lincoln Center nor BAM posits the kind of authoritative relationship to visual art that Performa, MoMA, Tate and other museums are attempting to do with performing arts. All that being said, I thank Paul for reaching out, alone among many, to actually engage in a constructive conversation about these issues and ideas. And finally, I recognize that there is a big difference between museums, profit-driven galleries and not-for-profit art spaces. In April 2012 Culturebot was included in a group show called Collective/Performative at Exit Art at the invitation of curator Rachel Gugelberger. We wrote about our project, “Ephemeral Evidence”, here and here. It was an amazing experience and Rachel, Lauren Rosati, Verity Combe and the rest of the Exit Art team were interested, supportive and engaged. On October 27, 2012 I moderated a panel on Social Practice and the Arts as part of Ping Chong’s Undesirable Elements Festival and got to talk with Gonzalo Casals from El Museo Del Barrio and was thrilled to learn about how that institution is grappling with challenges around economies and ecologies, performance, social practice, community engagement and horizontalism. I worked at Performance Space 122 from 2002 – 2007 and I didn’t really think much about context. In 2005 RoseLee Goldberg presented the first Performa and I covered the press launch for Culturebot. It was fascinating to me, a world I knew little about and I subsequently talked to RoseLee, read her book (okay, skimmed her book), attended some performances and started to dig in to the history and frameworks of visual art performance. In 2006 PS122 co-presented Coco Fusco’s “A Room of One’s Own: Women and Power in the New America” with Creative Time and back then I thought it was just another middling work of performance art that valued idea over implementation. But being at PS122 I didn’t differentiate between dance, theater, performance, etc. The museums weren’t doing performance back then (with the exception of Whitney Live which, I think, was discontinued when Altria cut the funding). When I thought of “performance art” as a discipline I was generally underwhelmed. I received the entire genre in the vein of Allan Kaprow or Chris Burden or Ron Athey, Franco B. or any of the myriad performance artists whose work rejected dance or theater, was predicated on ephemeral events in the here and now and existed outside the practice of performing arts as we had heretofore defined it. To me it was marginally interesting work but not terribly compelling. But by 2008 my pal Travis Chamberlain had started at the New Museum and started programming artists I knew. I was fascinated at how the work of an artist like Neal Medlyn could be so radically re-evaluated by the museum context. I have known Neal for years and used to see his work at places like Collective Unconscious, Surf Reality and all kinds of weird dumpy dives on the LES before it got gentrified. I had tried to get him a gig at PS122 but to no avail. Then Travis gave him a gig at New Museum and not only was he exposed to a whole new audience but all of a sudden a guy in underwear acting crazy and lip syncing to divas while throwing glitter and dancing with dildos and black light unicorn paintings was not just another Downtown Art Star (a la Reverend Jen) but a bona fide transgressive performance artist deconstructing gender roles through a critique of consumerism. I was amazed at the power of the museum and that Fall I convinced my colleagues at The Prelude Festival to investigate this. It really started to nag at me. How is it possible for an artist to make a work with unremarkable writing, amateurish video, unconscionably bad choreography all anchored by an artless performance by a non-charismatic performer that gets presented to rapturous audiences and critical acclaim at The Kitchen? I was confounded and said as much. Nick tells me that Shana later engaged a director and the work improved accordingly. I haven’t seen it, but I trust Nick. Now, I’ve met Shana socially and she’s lovely and I quite like her object-based work. I’d say that most of the visual artists I meet – and writers and curators – are cool, interesting, well-meaning people. With the possible exception of Klaus Beisenbach who I’ve only met for a moment and who seems to be the very model of a modern major EuroDouche, and Claire Bishop who I have also only met in passing and who, frankly, intimidates the hell out of me, I can say I’ve genuinely enjoyed the company of many people in the visual art world. So this isn’t personal in that sense. It is personal in the sense that I couldn’t then – and can’t now – abide this deliberate lack of craft and rigor, this willful ignorance of the fundamentals of performance and stagecraft, this refusal to work with people who actually know what they’re doing. It is one thing to intentionally break the rules of performance, it is quite another to not know what the hell you’re doing. 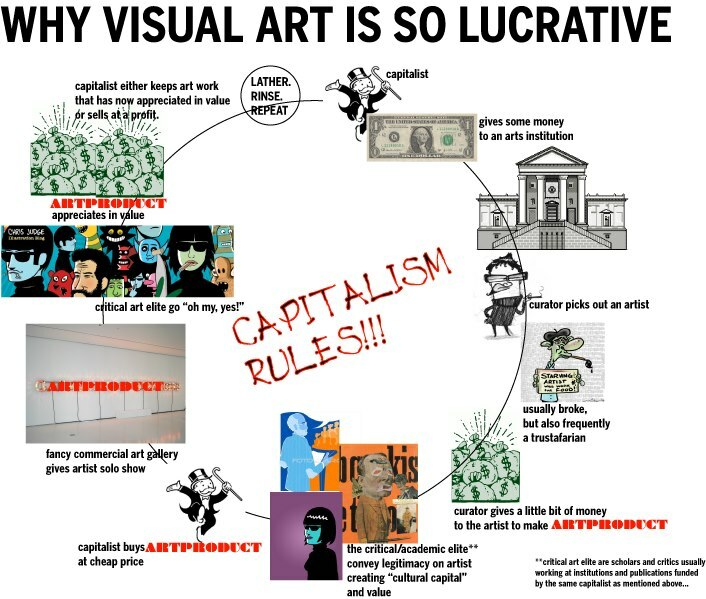 What is problematic to me is that bad performance by visual artists gets critical praise – and by extension raises that artist’s value in the marketplace – while great work by performing artists, when it is acknowledged by the visual arts world at all, is used either to get people into a museum or is appropriated, re-purposed and re-contexualized. I have been accused of being hostile, unhinged and incurious. I’m not. I just look at how difficult it is to make dance and theater; how much training, skill, craft, creativity and ingenuity it requires, and I want to promote the valuation of performance as an art form unto itself, different than but equal to visual art. And when I look at the numbers and the ecologies of these two worlds I feel compelled to illustrate the systemic differences and economic disparities that perpetuate inequality. For instance, let’s talk commissioning. In the performing arts – and dance especially – the timeline for fundraising is about 1.5 to 2 years. An artist has to start fundraising at least that long before the premiere and most artists working on the level of Sarah Michelson, Miguel Gutierrez, Dean Moss, etc. spend 12-18 months making a piece. So you’re looking at a really long, expensive creation process. How Can You Stay has received funding support from: The Andy Warhol Foundation for the Visual Arts; The Andrew W. Mellon Foundation; John Simon Guggenheim Memorial Foundation; The MAP Fund, a program of Creative Capital supported by the Doris Duke Charitable Foundation and the Rockefeller Foundation; Doris Duke Fund for Dance of the National Dance Project, a program administered by the New England Foundation for the Arts with funding from Doris Duke Charitable Foundation, The Ford Foundation, The Andrew W. Mellon Foundation, and MetLife Foundation; National Endowment for the Arts; New York State Council on the Arts; New York City Department of Cultural Affairs; Bossak/Heilbron Charitable Foundation. It was co-commissioned by Brooklyn Academy of Music, New York; Krannert Center for the Performing Arts/University of Illinois at Urbana-Champaign; On the Boards, Seattle, WA; and Walker Art Center, Minneapolis, MN. How Can You Stay in the House All Day and Not Go Anywhere? was developed in part during a creative residency provided by the Maggie Allesee National Center for Choreography at The Florida State University, Tallahassee, FL. It was also developed through creative and production residencies provided by Brooklyn Academy of Music, Walker Art Center, Krannert Center for the Performing Arts and the Kitchen. And that’s before it even tours, not including presentation costs, travel, etc. That’s very resource and labor intensive. Another reason the development process for performance is long, apart from funding, is that making dance and theater is very, very different than creating objects. There are so many collaborators involved and, especially with dance, you have to rehearse and develop the choreography, which can include a lot of trial and error, you have to repeat the movement with the dancers endlessly to get it into their bodies until it is second nature; a composer must create the score, a designer the lights, not to mention set, costumes and a myriad of other details that, once created, must be coordinated and implemented for the premiere. And then toured. Another significant difference is that in performing arts the funding model is mostly project-based. From what I understand, visual artists generally don’t apply for grants for a specific show or project. They get grants based on their stature and merit of their work, so they can apply for grants at any time, and make their work whenever they have the money available. I’m told that the NEA, before the culture wars, also funded artists this way, but now most funders require performing artists to apply with a specific show at a specific venue for a specific time. They get funding to support the creation of specific works, not general funding that allows them to simply work. That is a huge difference both in way of working and in the economy of creativity. So in order to build a major new work from a dance or theater artist it is necessary to organize a consortium of commissioners all of whom are putting in money at the beginning of the process, supporting the development for multiple years and also committing to produce and present the work once it is built. They frequently have to fundraise both individually and together as well as identify developmental residencies and so forth. And at the end, there is no way that ticket sales at any given venue – or even for a whole tour – could possibly recoup the expenses. On an insider-y, tangentially related note, that is why if a project goes off the rails, no-one wants to say it failed. Too many people have invested too much time and money to be able to publicly acknowledge that, for whatever reason, this project didn’t quite work. This can make the field risk-averse, but that’s another topic for another time. Now, I know that museums can take two or three years to develop an exhibition, but I don’t know if it takes that long for the artists in the exhibition to make the work. My limited experience with visual art is that artists can usually turn things around pretty quickly and unless you’re Richard Serra or Christo, it isn’t insanely expensive. Also, I don’t know exactly how it works in museums or galleries, but I’m pretty sure that the institutions don’t go out of pocket for the work. I think that when a museum commissions a work, they are actually buying it – they own it – so if it appreciates in value they can sell it, or just by virtue of owning it, the value of their collection increases as the art appreciates in value. A commission, then, is an investment, not purely an expenditure. So if we look specifically at Sarah Michelson for example, I’m told that the commission offers from both the Whitney and MoMA came too late to get worked into the funding cycle. The Whitney offer came seven months prior to premiere and the MoMA offer came six months prior to premiere. Not only is this a really short lead time for a choreographer of Sarah’s stature to create a work, it makes it nearly impossible to apply for other funding to support the work’s creation. I’m also told that The Whitney commission only covered about 50% of the budget of “Devotion” (the scaled down version they presented as opposed to the full version at The Kitchen) and that the MoMA commission was only 20% of the Whitney’s. Which means that MoMA’s commission only covered 10% of the budget. Ouch. But artists in all disciplines do these things – work at a loss – because of the esteem, approbation and status conveyed by the institution. The difference is that the market value of a performing artist’s future work doesn’t appreciate the way that the market value of a visual artist’s future work will, whether object-based or ephemeral like Tino Sehgal. To me this reveals a significant conundrum – how does one create material value around the ephemeral, attracting capital to the performing arts without inherently compromising the meaning of the work itself (as with Sehgal)? And if we can create that value, how can we develop a structure that will direct that capital into the ecology that supports the development and creation of new work, not to mention nurturing new generations of artists? As far as I know when the Whitney commissioned Richard Maxwell and Sarah Michelson no object-based evidence nor documentation of the ephemeral performance was added to the Whitney’s collection. Certainly their work was not “acquired” in the traditional sense nor for what one imagines to be a comparable sum. I don’t know if this is how a museum or Biennial works or if the question was even discussed and I’m happy to be enlightened. Generally I think the Whitney Biennial was asking some thoughtful questions and through juxtaposition provided a platform for the kind of transdisciplinary conversations that many artists I know are eager to have. MoMA, with “Some Sweet Day”, doesn’t seem to be asking questions at all. MoMA’s proposition seems mostly about new strategies to increase audience without any kind of legitimate, thoughtful inquiry into the form of dance. They knew enough to ask Ralph Lemon to curate but not enough to actually present the work in a meaningful way. And as much as I’m happy that these great choreographers got to widen their audiences and gain visibility, I’m concerned about the way MoMA has done it. Ralph’s program includes work from an astonishing array of innovative, talented, even iconic, choreographers including Steve Paxton, Jérôme Bel, Faustin Linyekula, Dean Moss, Deborah Hay and Sarah Michelson and MoMA just didn’t know what to do with them. I wasn’t at the talkback after Steve Paxton’s performance but I heard from reliable sources that Sabine mostly demonstrated her absolutely cluelessness about dance and that none of the questions really dug into Paxton’s revolutionary impact on re-imagining what dance is and how it is created and performed – not to mention the radical political resonance of his approach to choreography, dance and embodiment. In my previous essay “Curatorial Practice and Cultural Production”, I outlined the inherent challenges and implicit de-valuation of the form by presenting the work of such esteemed choreographers in a noisy, transitional space between galleries with inadequate sound and lighting; a space erroneously designated “public” when audiences must pay a $25 admission fee, a space that is not conducive to the kind of attention demanded by contemporary dance. To begin with, each choreographer was invited to perform for 30 minutes. Bel presented 30 minutes of his stunning 90-minute work “The Show Must Go On”, Paxton presented excerpts of iconic full-length works and I’m not sure what the rest did, but I’ve seen full-length work by Moss, Linyekula, Hay and Michelson in other contexts and none of them ever clock in at under 60 minutes, usually closer to 90 or 120. This time limit is not necessarily problematic in and of itself, it just demonstrates what the museum intends – dance is welcome as long as the artists repackage the work into consumer-friendly 30-minute segments – like television. Ironically, at the Performa Event in September Jenny Schlenzka asserted that she is interested in dance because it helps her “re-envision the exhibition” – but MoMA’s approach to presenting dance, if anything, reinforces the current, tired exhibition model. If they want to challenge or re-envision the exhibition model through performance, this isn’t doing it. They need to interrogate their processes, structures and aesthetic propositions a little more rigorously. So here we have a situation where the museum purports to be interested in dance, purports to want to support dance and inquiry into the form’s artistic practice and engagement with visual art, yet invests comparatively little money or resources in commissioning or presenting the work. And neither MoMA, The Whitney or the Guggenheim for that matter, have made any attempt to engage existing performing arts institutions that regularly support the artists that they are presenting. Even The Kitchen doesn’t consider itself aligned with other presenters. Maybe briefly under Elise Bernhardt, but certainly not under Debra Singer and now under Tim Griffin. Generally, The Kitchen holds itself aloof from the rest of the sector. I’m sure there’s a reason that goes back to the origin stories of the various institutions, but we’ll explore that some other time. Once again, if museums aren’t reaching out to performing arts presenters, this isn’t really a big deal – or is it? The ecosystem that supports the development of dance artists is resource-poor. As I mentioned in my previous essay, it takes a village to grow a great choreographer or theater director or ensemble. It takes a large, intertwined, interdependent network of institutions to collaborate and invest time, money and labor over many years. Artists enter the system at Dixon Place or Movement Research at Judson and then over the course of the next 10-15 years they grow from the smaller spaces to PS122 and Danspace Project, NYLA, The Kitchen and maybe, maybe, one day, BAM. Maybe. It’s a lot of time, money and labor – not just on the part of the artist but the entire ecosystem. So let’s compare/contrast by looking at the numbers my research assistant Buck pulled from the 990s on Guidestar. All data is from 2010 or the most recent available 990 at the time the research was conducted. MoMA’s total annual budget in 2010 was $467 million of which $51 million was spent on the acquisition of artworks. I have no idea who makes those decisions or who gets the money – artists, dealers, collectors? – but that is serious money. Given MoMA’s professed interest in dance they might want to look at investing a little in the artists and commission full-scale work. Salary-wise Klaus Biesenbach makes $215,000 for his gig as Director of PS1 and Chief Curator at Large at MoMA. Sabine Breitwieser who heads up the media and performance art department at MoMA earned a relatively modest $115,000. (Maybe that’s why she’s heading to Salzburg?) Not bad. The Whitney’s total annual budget in 2010 was $231 million and their chief curator, Donna DeSalvo, brought home $273,000. I don’t know what a non-Chief curator makes but Klaus at MoMA should ask for a raise, I guess. Before everyone piles on, I know that Lincoln Center and BAM are more “apples to apples” size-wise. I’m not saying that there aren’t big, well-funded arts institutions that pay their curators and executives big salaries. But Lincoln Center and BAM also spend a lot of money commissioning and presenting new work from performing artists, especially BAM. More importantly and to the point, The Whitney and especially MoMA, are drawing dance and theater artists from an ecosystem that is drastically smaller by comparison. The choreographers who were part of “Some Sweet Day” and the kind of choreographers that museums are interested in generally – French conceptualists, Judson era icons, contemporary dance makers with striking visual sensibilities – come out of an ecosystem defined by The Kitchen and Danspace Project with NYLA, PS122, The Chocolate Factory, Movement Research and the American Realness Festival in close orbit. Just to give you a sense of proportion, as of 2010 Danspace Project’s budget was $1.3M, The Kitchen’s $2.6M and DTW (now NYLA) $4.5M. I don’t want to embarrass anybody but of the institutions mentioned above the compensation for curators/artistic directors ranged from a low of $35K to a high of Debra Singer’s $149K in 2010 at The Kitchen. That being said, Debra was both Executive Director and Chief Curator, where an Executive Director at a big museum can make upwards of $400K. I’m not going to go into the issue of artist pay – that’s a much bigger problem and a whole other essay. We hope to partner with W.A.G.E. to conduct research in our sector over the next year. What I’m trying to illustrate is a situation where the ecology that supports the development and creation of new works of dance and theater is underfunded and under-resourced. It has a history, a body of knowledge and theory, specific practices, values and aesthetics. These forms require training, education and the development of specific skills and expertise to create thoughtful, investigative, high quality work. Similarly presenting the work requires specific skills, training, education and knowledge. Therefore it is a problem when the visual art world or museums choose to allocate resources to support self-identified visual artists making bad performance and it is a problem when the museum or the visual art sector plucks up good artists out of this underfunded ecosystem without putting anything back into it. In all likelihood, if the visual art world figures out how to create market value around performance, they will inevitably figure out a way to insure that the capital goes to them, not to the artist and not to the performing arts ecosystem that they already refuse to acknowledge even exists. To illustrate this I want to change disciplines and turn to theater for a moment. The last time I brought up Creative Time’s production of Paul Chan’s project Waiting For Godot In New Orleans I was roundly lambasted and told to read Shannon Jackson’s essay on the Godot project in “Social Works: Performing Art, Supporting Publics”. I did read it and I also had the great good fortune to meet with Professor Jackson while in Portland for the TBA Festival. She is amazingly smart and cool, it is a genius essay and a thoughtful, provocative book. But I still think Jackson lets Creative Time off the hook for what appears to be a deeply problematic structure for a meritorious project. I’m sure Waiting For Godot In New Orleans was artistically excellent and am reasonably certain it had a positive impact, I’m not impugning the project, the motives or the people involved. As much as I want to address what I see as the inherent problems of socially engaged art practice in the visual arts, as much as I am frustrated that the visual arts sector won’t engage theater and dance artists who have developed best practices and methodologies for community engagement and social practice, I will defer that larger conversation to focus on the specific problematic relationship between visual art and theater and its implications as embodied by Creative Time’s production of Paul Chan’s Waiting for Godot In New Orleans project. First – a disclaimer. I have heard from many people that Paul Chan is a stand-up guy, deeply committed to his politics and I’m hoping to get to meet him, friends have offered to introduce me. I’ve heard only kind things about Nato Thompson and Anne Pasternak, their support for artists, etc. etc. I’ve never had occasion to meet either of them, so this isn’t a personal thing. For that matter I haven’t been able to get in touch with director Christopher McElroen or anyone from Classical Theatre of Harlem who was involved in the project. Once again, this is a systemic analysis from the outside looking in. Since I am not a journalist, in most cases I have not cited sources. While I trust that the information I have received is factual, I do not want to destabilize working relationships between my colleagues or impugn anybody’s reputation. I’m just a working guy trying to figure some stuff out and I’m hopeful that a paid journalist or academic with the support of an institution will take this up to either confirm or refute my assertions with resources and rigor that are unavailable to me. Jackson alludes to the fact that it is problematic that a well-funded visual arts project imported by New Yorkers carries such outsized presence, weight and perceived impact in comparison to the legitimate efforts of local stakeholders. But I think there’s a meta-issue at play here and I only bring this up because of how Creative Time positions itself as a progressive, leftist, socially engaged commissioner of activist art interrogating the status quo. If that is who they are, then they should be considering their values in relation to how they treat artists of other disciplines and to the capitalist frameworks of their production practices. I’m sure I’m not the only one who finds CT deeply situated in the visual art market economy and who finds it confounding that, without any apparent sense of irony or self-awareness, they organized this year’s Creative Time Summit around “Confronting Inequity”. In 2007, the year Godot was produced, Creative Time’s budget was $2.65M and Anne Pasternak made $140K. That same year the Classical Theatre of Harlem’s annual budget was $550,000 and the artistic director was unpaid. Over the years CTH has filed a 990-EZ form, which doesn’t have as much information as a full 990, but it seems that at least 80% of its budget goes to productions rather than salaries or administrative costs. In 2009 Creative Time’s budget went down to $2.2M, probably as a result of the crash in 2008, but Pasternak’s salary went to $220K. The point being that in 2009 CTH’s budget also went down – from 2007’s $550K to $380K, still with no salary for the artistic director and still directing about 80% of its income to producing work. So from the beginning there was significant economic disparity between the two organizations, not to mention a disparity in access to cultural capital. Click on the picture to check out the CT gala section and the flickr pool for more fabulous photos! Oh wait, I can’t find a picture because they don’t have a gala. If you feel that this is “apples to oranges”, let’s look at a more “apples to apples” scenario, let’s look at The Kitchen, an institution of comparable size and artistic quality. Creative Time produces roughly 6 projects per year, whereas The Kitchen produces work all year long including affordable performances, free lectures and gallery shows across all disciplines. It also has a building to maintain (currently damaged by Hurricane Sandy to the tune of $500K, see mention above on how to help) a significant staff and the considerable overhead that comes with all of that. (NB: The affordable ticket price at The Kitchen is a deliberate choice. I talked to Debra Singer years ago and she told me that the earned income from tickets was so negligible that she chose to keep prices low and just make up the difference with increased fundraising efforts.) So one can imagine that running an organization of that size as combined ED and Chief Curator would be a herculean task, yet The Kitchen’s highest executive salary (as of 2010) was considerably lower than CT’s. Also, according to the W.A.G.E. survey, while Creative Time did reasonably well on paying artists for their work (87.5% were paid vs. 12.5% who did not), the Kitchen got a remarkable 100% rating for paying artists. But ultimately this isn’t about executive salaries or even, necessarily, organizational culture and fancy fundraisers. This is about valuation of art, labor and economic equality. Creative Time’s production of Paul Chan’s Waiting for Godot In New Orleans could not have existed without a production of Waiting For Godot, preferably an African-American one that already referenced Katrina. Chan and Thompson knew they didn’t know how to make theater – and acknowledged as much – so they outsourced the heart of their project to people that did know how to produce theater, who in fact had a ready-made production that was a perfect fit: Classical Theatre of Harlem. There are at least two systemic issues at play here. First, there’s the fact that no funder in the world would support a socially engaged theater production of Waiting For Godot in New Orleans by a small, Harlem-based theater company with a $500K budget. Despite the fact that CTH, by its very existence and mission, is a socially engaged project, in it for the long haul, committed to creating community and well-deserving of funding, I can’t imagine them being able to raise the money to go to New Orleans on their own. I don’t know what the CT budget was, but I can guesstimate what it costs to ship an Equity show to New Orleans under those conditions and produce it and do all the community engagement lead-up. Let me tell you there’s not a chance in hell a theater company would ever get that kind of support and I’m confident that if you talk to any theater or dance companies that do this kind of work on a regular basis, they will attest to that. Secondly, given CTH’s economic status and speculating on the resources they must have expended to create their original production of Godot relative to their total operating budget, it seems unlikely that they were in a position to negotiate an equitable deal with Creative Time. Given how resource-poor CTH is and that theatrical productions generally have a short life span, given that they had little or no chance of recouping their initial investment through ticket sales, merchandising or any other revenue streams, CTH was probably thrilled to earn some income and revive the work, thankful for the publicity and excited for a chance to make a difference in New Orleans. But from outside it seems like their deal was not unlike what happens when people appear on television – they signed away creative control, control of the narrative and – as far as I can tell – any rights to future income or revenue from their work. I’d be delighted to be proven wrong. Paul Chan’s theatre was also implicitly funded by the remaining individuated structures of the speculative art market in which Paul Chan sells. Limited edition documentation of Waiting for Godot in New Orleans was available for sale at Greene Naftali; the cart (and “tree”) made by plasticien/Master Carpenter Paul Chan was sold as sculpture. So who got the money for the art objects created – the limited edition documentation, the cart and the tree? I’m genuinely asking and would love to hear that it was going back to New Orleans. For that matter CT still sells $45 books about the project on their website. Does any of that money go into the shadow fund created for Katrina victims and rebuilding New Orleans (created at Chan’s behest, from what I’m told, not at CT’s initiation)? Does CTH see any ongoing revenue from their absolutely essential contribution to the realization of the project? Theater and Dance are Art. Ralph Lemon, Steve Paxton, Jérôme Bel, Faustin Linyekula, Dean Moss, Deborah Hay and Sarah Michelson all make Art. DD Dorvillier makes Art. Meg Stuart makes Art. Richard Maxwell, Young Jean Lee, Temporary Distortion, Forced Entertainment, Ant Hampton all make Art. It is art that exists in both space and time and is created collaboratively with other artists. Visual designers like Thomas Dunn and Jennifer Tipton and countless others, often with visual art backgrounds, make art out of light, fabric and materials whose existence is as ephemeral as the peformance. Sound artists like Hahn Rowe, Alex Waterman, Ben Rubin and many, many others, all make art that requires extensive study, training, knowledge, skill, craft, creativity and innovation. And it may not look like it but what actors and dancers do is incredibly difficult and complicated and unfathomably creative. It looks easy because they’re really, really good at it and they have a gift that they have labored long and hard to hone and develop. It is not traditionally intellectual in the way that contemporary visual artists must use writing to justify their work – it is an art practice that exists in and is expressed through the body. And it is frequently extraordinary. My point being that CT’s appropriation of CTH’s Godot is not so different than MoMA, with its massive resources, buying and repackaging dance product at a discount for its Atrium to freshen up its exhibition strategies and add a veneer of liveness and novelty to a mostly stale institution. (And also marking it up. It costs $25 to get into MoMA but you can see full-length, fully-produced work by pretty much all the artists in “Some Sweet Day” for $18 or less in their original venues). If the visual art world – and museums specifically – would open up their perspective just a little bit and acknowledge that what certain dance and theater artists do is art, albeit with different practices, frameworks and modes of production, we might be able to have a real conversation. If visual art people were open to receiving new information and perspectives, not just recycled ideas from within their echo chamber of self-reinforcing narratives, we might be able to have a real conversation. If they acknowledged that performance curators actually know what they’re doing and talking about, we might be able to have a conversation. And just as importantly, if we could have a real conversation, then maybe the “crisis in the museum” around materiality, exhibitions and audiences, the challenges visual art is facing around socially engaged practice, the challenges faced by visual artists trying to make work they are unequipped to actually create, there might be a possibility for collaboration and cooperation, even a two-way exchange of ideas, skills and frameworks. Within our own world, within the short span of my own career as an arts administrator, I have seen a sector that is excited by the questions that visual artists pose when approaching performance and the possibilities those questions open up. More surprisingly, I have seen the field of contemporary performance move significantly from a framework of competition to practical collaboration. It would be amazing to see these trends happen across sectors, disciplines and between institutions. I’m not holding my breath, but we’ll be here. Wow. What a thorough conversational analysis (conversational as a disclaimer related to your hope that certain points can/wil be flushed out by others). I intend to read this multiple times, but I am so glad that a concrete conversation has been initiated about the ephermeral and the documented/documentation aspects of performance in these realms. Can't wait for more! Fascinated to see where the rest of the goes. As for apples and oranges, perhaps it might be illuminating to consider what the artists of Some Sweet Day had to work with in terms of budget and/or in terms of commission fees, technical and set support (Moss, for instance, made use of a dance floor covering raised on wooden struts. Who paid for that and who built it?) , and lastly fees for performers. How did these budgets compare to those for comparable time frames if we pro-rate (per hour of exhibition), preparation including rehearsal, etc.) Marina Abramovic (The Artist is Present) at MoMA,, Seghal’s “This Progress” @ the Guggenheim, and the Whitney Biennial? How do they compare with the budgets for commissions at arts centers in the U.S. that integrate performance as part of their approach to art such as the Walker and Yerba Buena? How do they compare with those of European, particularly comparable French museums such as the Centre Pompidou and the Musee d’Orsay? And finally, how do they compare with what Paxton might have been given to work with in 1971 when “Satisfyin Lover,” as SSD’s Moma program cover image so clearly attests, made the scene at the Whitney? I had heard that the trained performers for the Abramovic exhibition (almost all if not all professional dancers) had to organize around demands for better pay and working conditions. Did that experience improve things in any way for the artists of SSD?